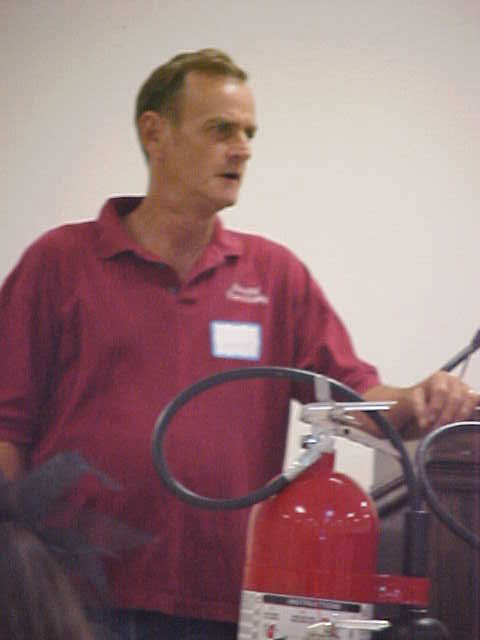 Fire Safety Classes: We offer free on site fire demo's on the proper use of fire extinguishers in case of a fire. Fire Safety Training- we offer an hour long classroom completion course on the different types of fires and what is needed and the proper use of different types of fire extinguishers. We then hold a hands on demonstration with a controlled fire so that our clients can get accustomed to how to properly and safely put out fires that they may encounter. Marschall Fire and Safety believes that much of who we are and where we are today would not be possible without the relationships we have built with our community and customers. We truly believe that safety of the community members and our customers should be the top priority every time. Below you can find a brief description of some of the training classes and educational classes we offer in an effort to make both companies and the community better educated on Fire Safety as well as State/Federal guidelines concerning MSHA. Contact us to schedule your company or family, group's fire safety or MSHA training class today! Copyright 2009 Marschall Fire & Safety. All rights reserved.